IRL I thought a dad friend of mine was saying exactly this. 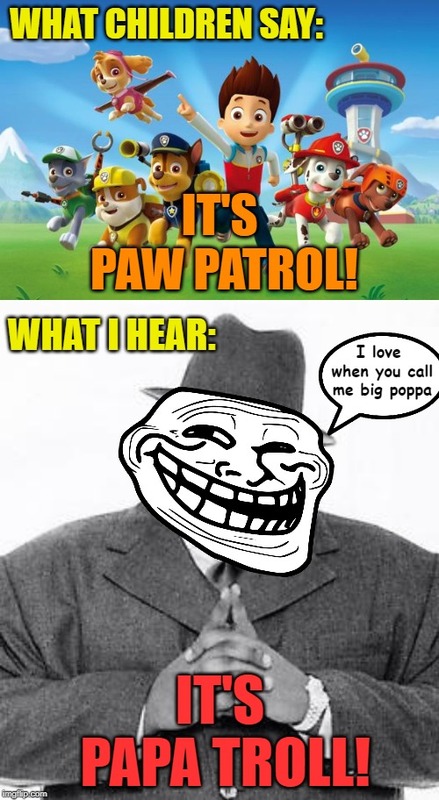 WHAT CHILDREN SAY:; IT'S PAW PATROL! WHAT I HEAR:; I love when you call me big poppa; IT'S PAPA TROLL!